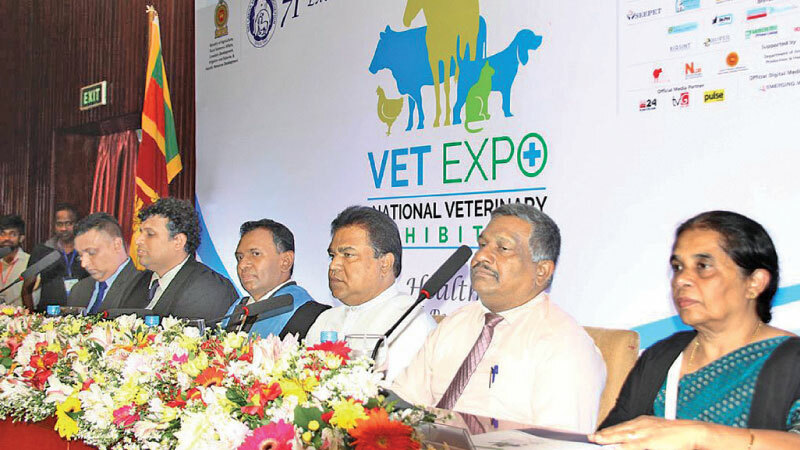 The Sri Lanka Veterinary Association (SLVA) marked a special milestone in their calendar as the organizers of Sri Lanka’s very first national veterinary exhibition and trade show, ‘VETEXPO 2019’ at BMICH. During the three-day event, all segments of the veterinary profession; including Pet, Livestock, Wildlife, Public Health other related industries, came together to showcase the opportunitiesin the veterinary sector for a healthy animal, healthy human and healthy planet. The exhibition was a platform to celebrate animals and veterinarians,and to recognize their contribution to the society. The exhibition also served as a platform to connect with more than 5,000 visitors comprising of students, undergraduates, farmers, veterinarians, other professionals, entrepreneurs, and the general public. Further, it created the opportunity to reconnect with existing customers and to form new relationships with potential clientswithin one location. About 80 indoor and outdoor stalls and parallel sessions to educate the public and different target groups were conducted at the event. The event was also an arena for commercial institutes to advertise their products and services to the public.